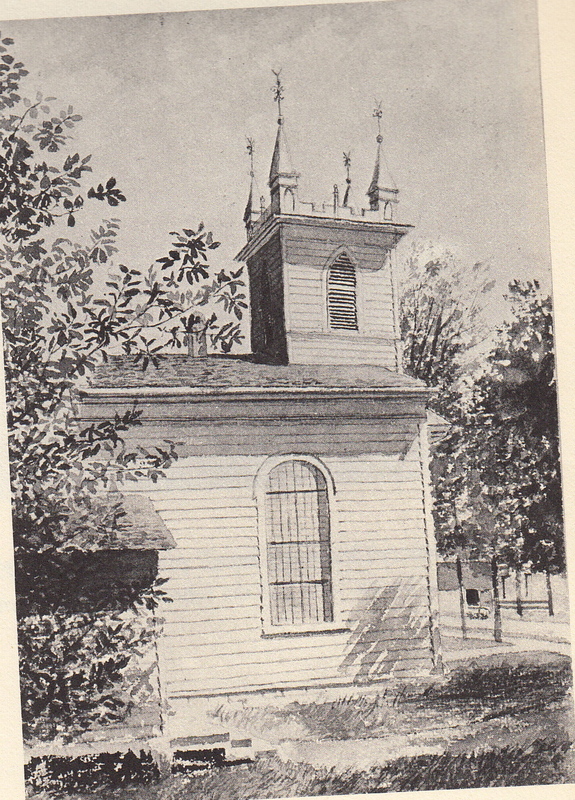 By 1818 the Lenox Anglican community had finally amassed the funds to complete its first church. 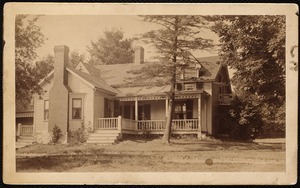 It was in the center of the village at 33 Church Street. It was consecrated Sept. 7, 1818 by Bishop Alexander Viets Griswold. The bishop was a nephew of the first Anglican priest to visit Lenox, Roger Viets (probably 1763). The white wooden church was described as Gothic Revival or Carpenter Gothic. The stylistic indicators include the window shape and the steeple parapets. This may have been an early example of the style common in New England in the 1830-1850 period. In 1873 a new chancel and transepts were added. 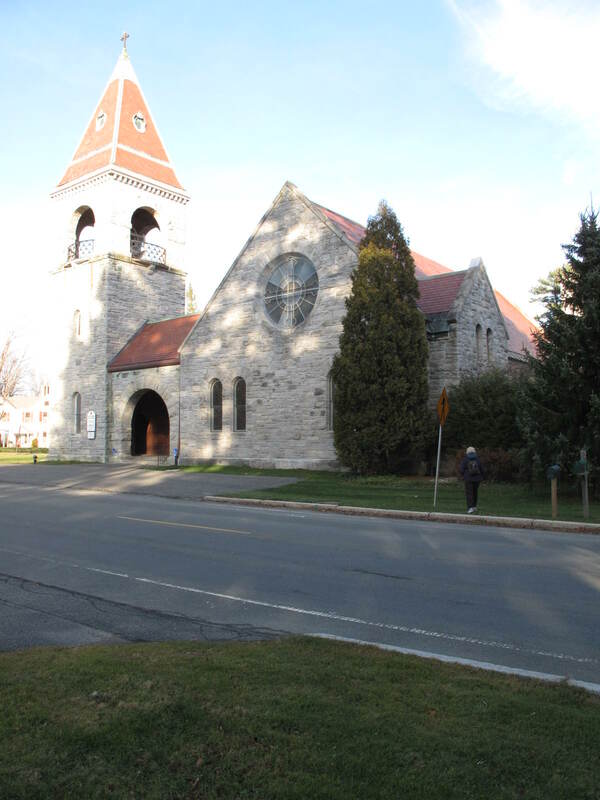 When the new Trinity Church was built at Walker and Kemble, the old church building was purchased by parishioner L.C. Peters and stands (without its spire) on Church St. today. Trinity became the legal name of the congregation in 1918 but there is reference to “Trinity Church” in the 1819 vestry records. The consecration must have had some interesting interpersonal chemistry since the rector at the time, Samuel Griswold was the brother of Bishop Griswold and was dismissed ten days later! After Rev. Griswold’s departure, only one dedicated Lenox rector for (1840-1844-Rev. George Waters) is listed in John Allen Gable’s history. For the rest of the time, services were shared with other parishes and revenue was supplemented by the missionary society. In 1832 only 18 adult members were listed. and by 1850 services were only held occasionally. The absence of a regular rector certainly contributed to the fall off in membership but undoubtedly was not the only factor. During the first half of the 19th century, new Episcopal parishes proliferated. Ironically, they included (Pittsfield, Stockbridge, Otis and others) towns that had spun off from early worship in Lenox. At that time the pulpit at Church on the Hill was manned by the very popular Rev. Shephard. Also, it was the era of revivals and new sects to the area — including the addition of a Methodist church that was established down the street on the now aptly named Church St.
As with many churches then and now, the flame was kept burning by a few dedicated volunteers. One, Debby Hewes Quincy, is singled out with a plaque in the current Trinity Church. Despite the popularity of Mr. Pynchon and several other well thought of but short term priests (Rev. William Henry Brooks, Rev. Henry Albert Yardley), the Lenox continued to struggle and Lenox again required missionary aid. The full potential of the resident and visiting Anglican congregation was achieved under the leadership of the long-serving Rev. Justin Field who was rector 1862-1890. The first official mention of a new church building is found in 1882. 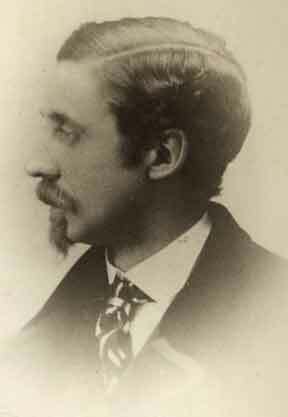 The building effort was led by architect, philanthropist and church warden Colonel Richard Tylden Auchmuty. The church purchased the triangle formed by Kemble and Walker (known as Lyman’s corner – for – according to maps of the time – the location of the Lyman’s residence/ store). The building committee hired McKim, Mead and White and, like any other self respecting church committee proceeded to dabble. Five designs later the very handsome result reflect some McKim, some Auchmuty and some Renwick (a friend and associate of Auchmuty’s). 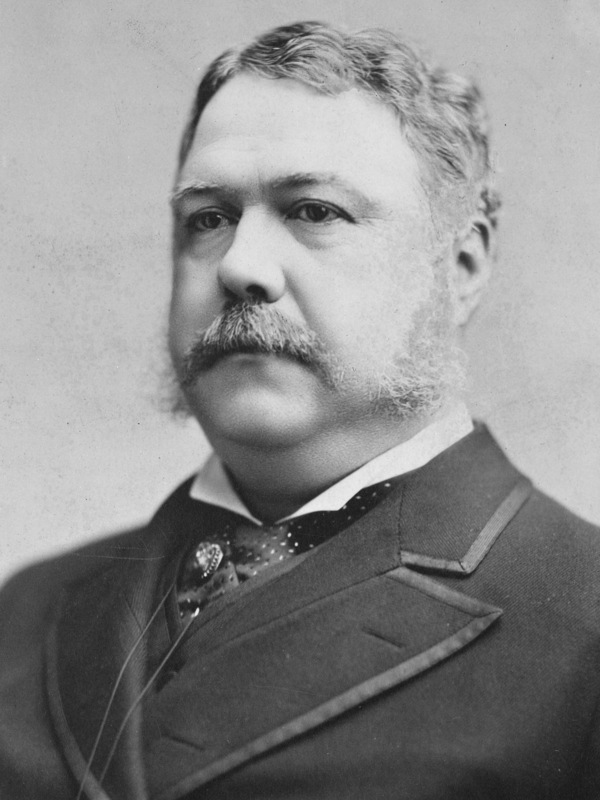 The cornerstone was laid September 8, 1885 by former President Chester A. Arthur. 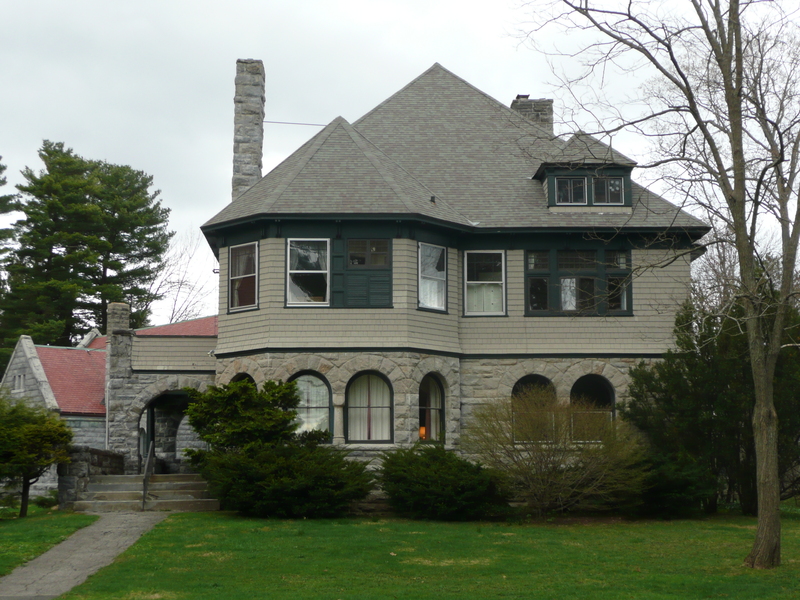 Arthur’s Secretary of State, Theodore Frelinghuysen from New Jersey had built the lovely Georgian “cottage” across the street in 1881. A plaque honoring the 21st President stands in Trinity today. The new church was consecrated June 19, 1888 and was filled with Tiffany windows and other elaborate furnishings donated by a who’s who of wealthy summer visitors. 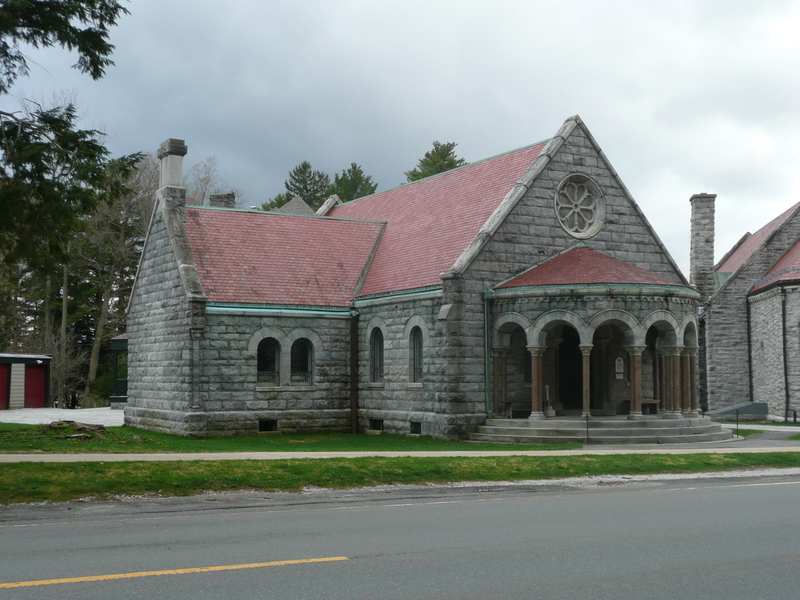 Undeterred by having spent three times their budget on the church, the parishioners proceeded to construct a handsome rectory in 1892 and a chapel in 1896. 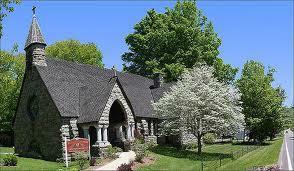 Originally called the Union Chapel, the New Lenox Episcopal Church was completed in 1893. 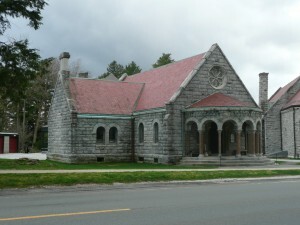 Later called St. Helena’s, it was donated by John E. Parsons in honor of his daughter, Helen Reed Parsons. Mr. Rathbun is referenced as the architect in a Pittsfield Sun article. Mr. Rathbun was also thought to be the architect of the Church on the Hill Chapel on Main St. 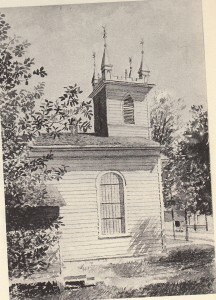 In the then thinly settled New Lenox, the chapel’s use was highly ecumenical with Rev. Grosvenor conducting services two Sundays a month, the Methodists on another and the Baptists on a fourth. St. Helena’s remained a part of Trinity Church until 1980 when it was established as a separate parish. The two churches have just completed an agreement (2016) to share services.